The novel begins with the introduction of Captain Robert Walton, who is on a ship bound for the North Pole in search of scientific progress and knowledge. During his voyage, he and his crew come across a man nearly frozen and in frail condition. Taking the man onboard and nurturing him back to health, Walton is finally acquainted with Victor Frankenstein. Frankenstein sees the same ambition within Walton that he too possessed and which is the reason for his current troubled state. Hence he decides to recount his life and share the miserable events leading him to his present isolated circumstance. Walton listens and records Frankenstein's account which begins with his childhood in his family home in Geneva. Even as a young child, Frankenstein was encouraged by his parents to seek out the truth about the world, and use science as his instrument. It is this passion for knowledge that prompts him to conduct experiments in order to recreate life from lifeless matter. However, the result is not the ideal being the scientist had initially expected, and instead produces an eight foot tall creature with yellow eyes and visible muscle tissue. Repulsed by his creation, Frankenstein tries to steer clear of the monster, but only ignites the monster's anger as it goes into a revenge spree taunting his creator. A chilling tale of murderous mayhem follows which is guaranteed to give goose bumps. 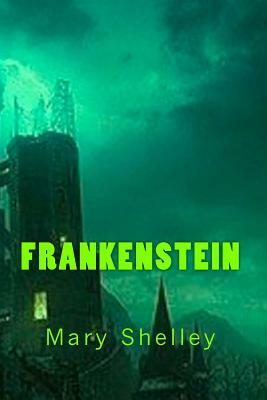 Though many are familiar with Frankenstein through countless adaptations, most are unaware of the original depiction which can only be witnessed in the classic novel. Far from a simple horror story meant to scare and entertain, Frankenstein is a timeless classic which evokes vital questions about human nature and centers on important issues targeting human curiosity and the dangers of science. Mary Shelley was born Mary Wollstonecraft Godwin on August 30, 1797, in London, England. She was the daughter of philosopher and political writer William Godwin and famed feminist Mary Wollstonecraft-the author of The Vindication of the Rights of Woman (1792). Sadly for Shelley, she never really knew her mother who died shortly after her birth. Her father William Godwin was left to care for Shelley and her older half-sister Fanny Imlay. Imlay was Wollstonecraft's daughter from an affair she had with a soldier.